I love drinking smoothies in the morning as it is a great way to start my day with a powerhouse drink that gives me a lot of nutrition in one drink. I always add two to three servings of fruit and veggies in my smoothies along with yogurt, flax meal or chia seeds, and green matcha powder. 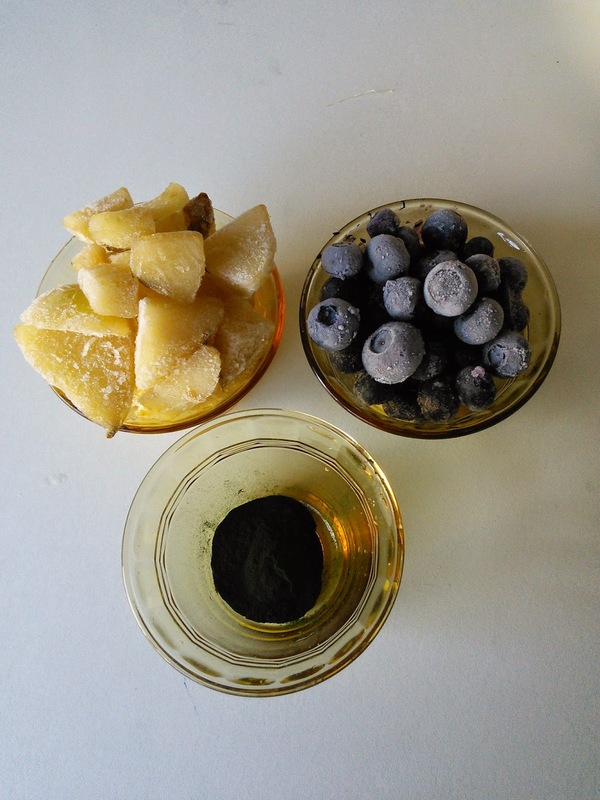 I have discovered a new green superfood powder to add to my smoothie, Sari Spirulina Powder. My smoothies have been green for quite a while as I know green means healthy so I did not mind the extra green that this organic Spirulina gave to my morning smoothie. So you are probably wondering what Spirulina is and what makes it a superfood. 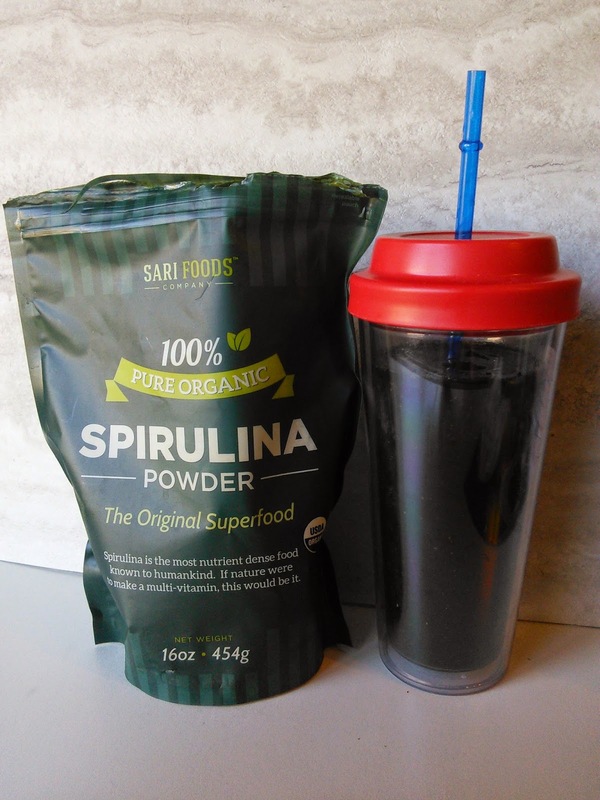 I was sent a package of Sari Spirulina Powder to experience its benefits. This nutrient-packed green powder comes from a blue-green algae, the same algae that fish eat to be able to be rich in omegas. 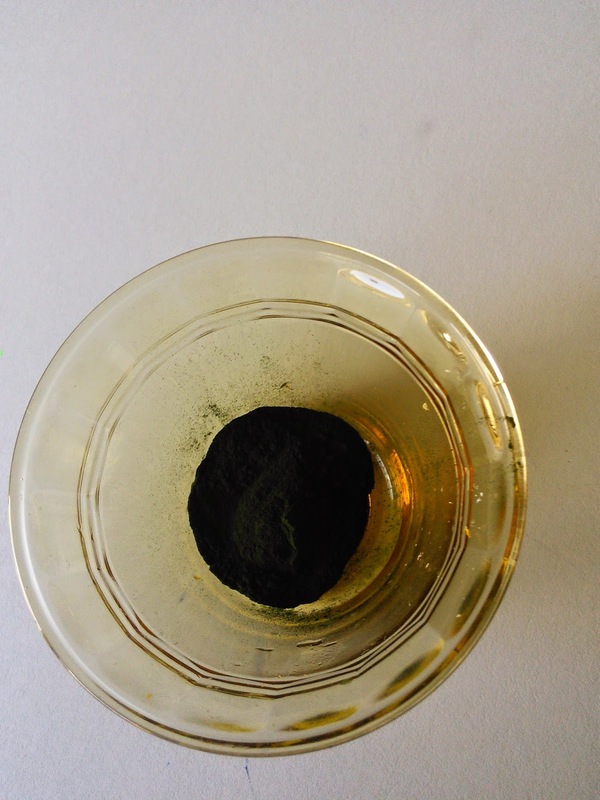 Don't worry though about the safety of Sari Spirulina as it is grown in natural soda lakes in a remote area that is free of industry and pollution, making it naturally rich in minerals and trace elements. Sari Spirulina is 100% Non-Toxic and Contaminant Free - Free of Chemicals, Pesticides, Heavy Metals, Yeast, Mold, E. Coli, BMAA, Microcystine, Pheophorbides, Irradiation, GMO's, Preservatives, Additives, Solvents, Binders, Soy & Gelatin. Spirulina is rich in protein, iron, calcium, magnesium, selenium, beta-carotine, B12, chlorophyll, phytonutrients, antioxidants and essential amino acids (GLA, Omega 3, 6 & 9's). Click Here to see the wonderful amounts of each one. I found out that adding Spirulina to my diet will strengthen my immune system, this is great as cold and flu season is upon us. It will fight aging & free radicals with all its antioxidants . This green powder is a great multivitamin with over 100 naturally occurring and bioavailable vitamins & nutrients, listed above. Spirulina can be added to just about anything - from your favorite smoothies and juices to many other recipes - for a great nutritional boost. 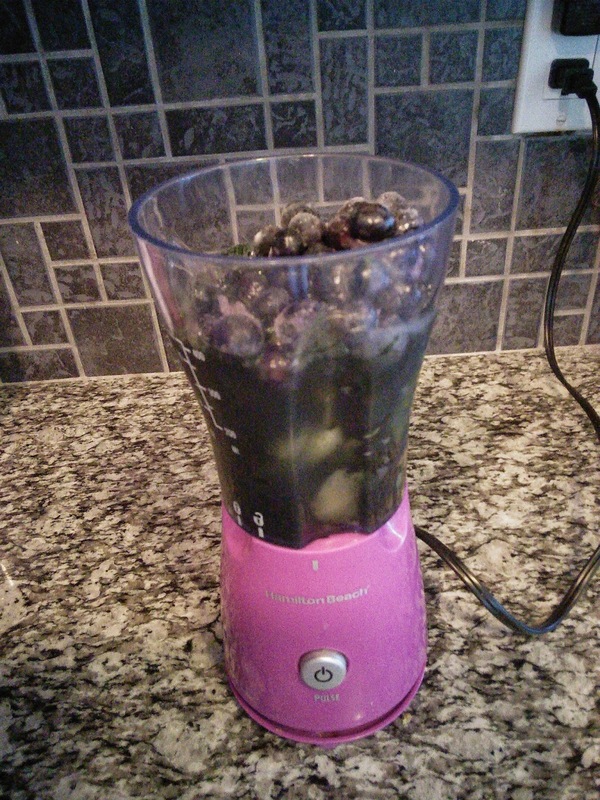 I like to add my Spirulina to smoothies. I use 1 teaspoon of this green powder along with fruit. The green powder does come from algae so it has a fish smell to it. I discovered that once I added it to my smoothie that it added no taste and the fish smell was gone. All I tasted was my fruit in my smoothie. Yes it does make your smoothie a deep green color, but to me green means it is healthy. Green is my color for ensuring my body is getting a powerful source of nutrients to enable me to be healthy and enjoy life. I like to add 2 tablespoons flax meal to my smoothie for additional fiber and omegas. To obtain more information on Sari Spirulina Powder, click on the below link. My 31 year old son is has requested this for Christmas. He is a health food junkie! It is currently unavailable on Amazon but I will check back in a few days. Thank you for the recipe. We are going to try it as soon as we can get the Sari Spirulina Powder. I have heard of spirulina but not tried it yet. I really should to keep my immune system at its best! I love the recipe for the smoothie. I'm trying to eat healthier, so I can use all the tips and recipes I can get! Due to its rich, distinctive taste and several astounding health benefits, its popularity and demand in not confined to Japan.